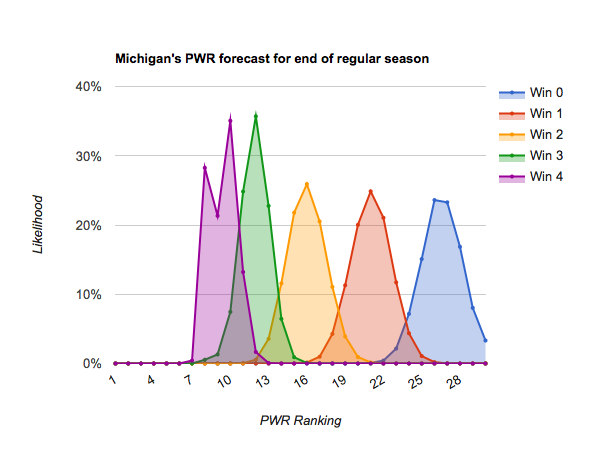 Mid-February Update—What do other teams need to do to make the NCAA tournament? 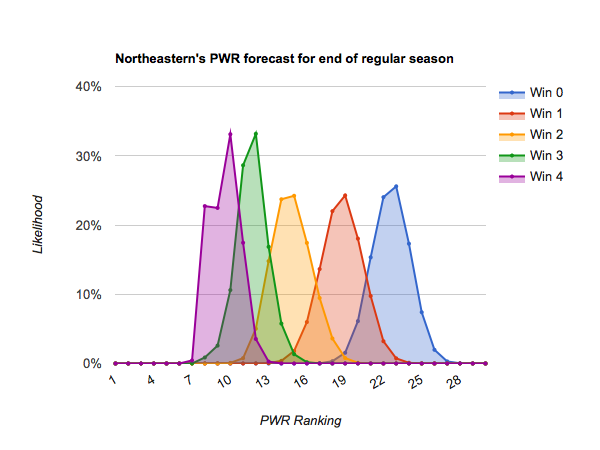 As mentioned in today’s previous article, Who’s likely to make the NCAA tournament?, most teams only have 4-6 remaining scheduled games before the playoffs, so dramatic opportunities for repositioning themselves are diminishing. 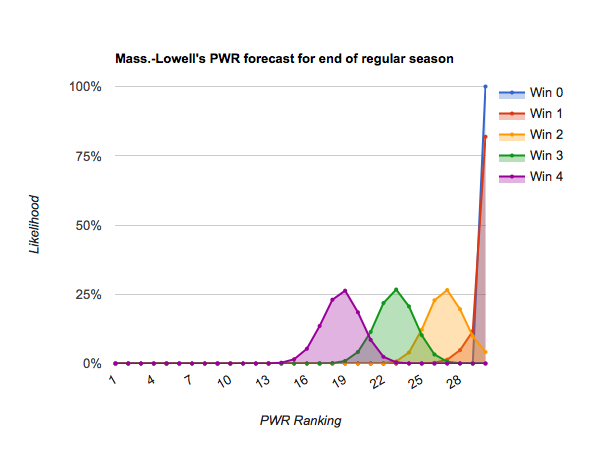 #25 Mass.-Lowell and below appear very unlikely to climb to #12 even if they win out, meaning their only likely path to an NCAA tournament bid is success in the conference tournaments. 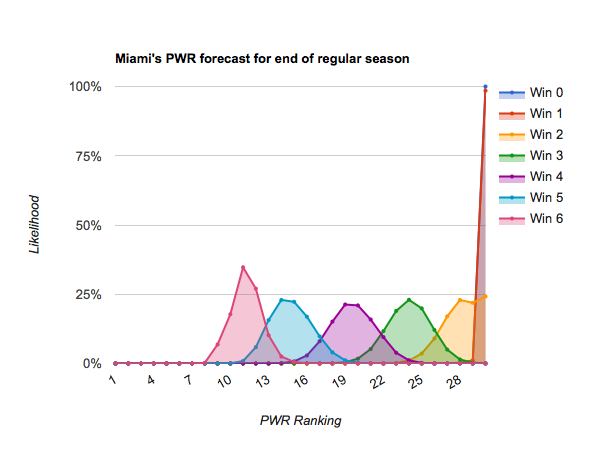 (#27 Miami has a bit more likely path than its neighbors by virtue of having six games remaining rather than 4). 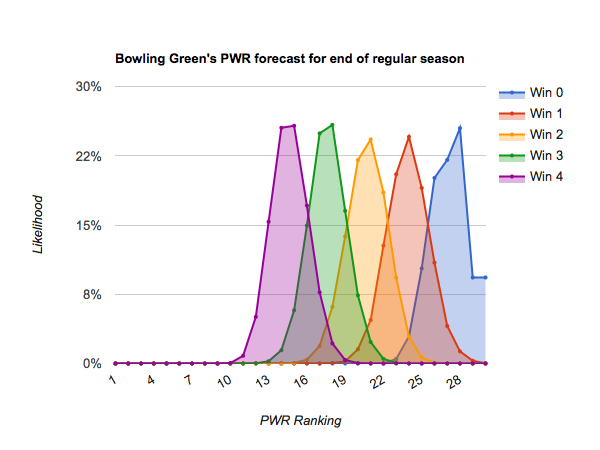 Each forecast is based on at least one million monte carlo simulations of the games in the described period. 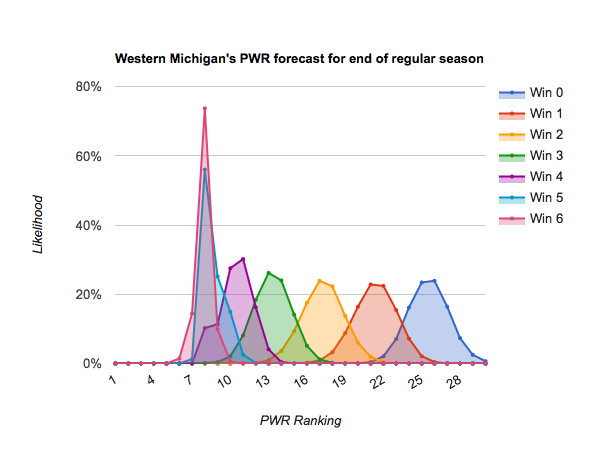 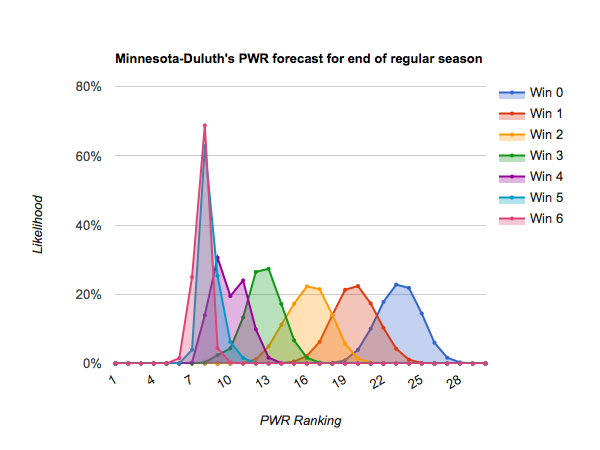 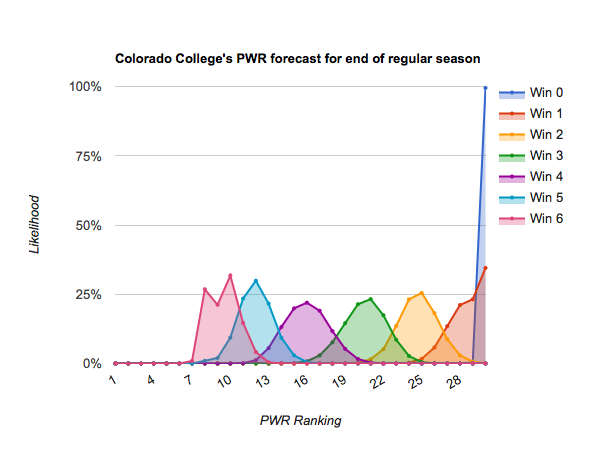 For each simulation, the PairWise Ranking (PWR) is calculated and the results tallied. 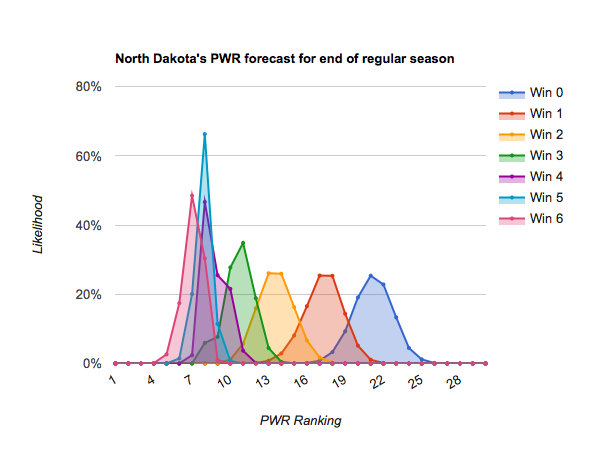 The probabilities presented in the forecasts are the share of simulations in which a particular outcome occurred. 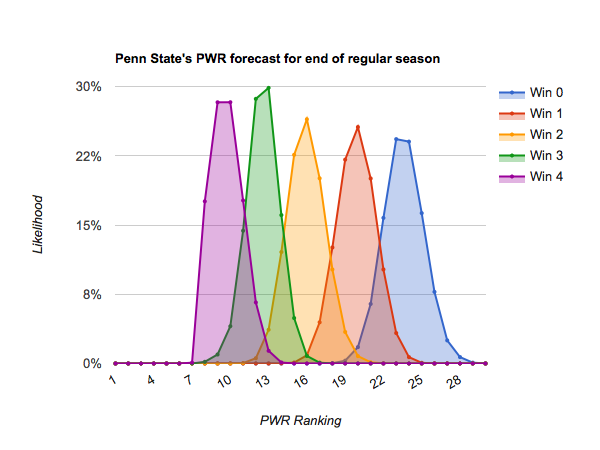 The outcome of each game in each simulation is determined by random draw, with the probability of victory for each team set by their relative KRACH ratings. 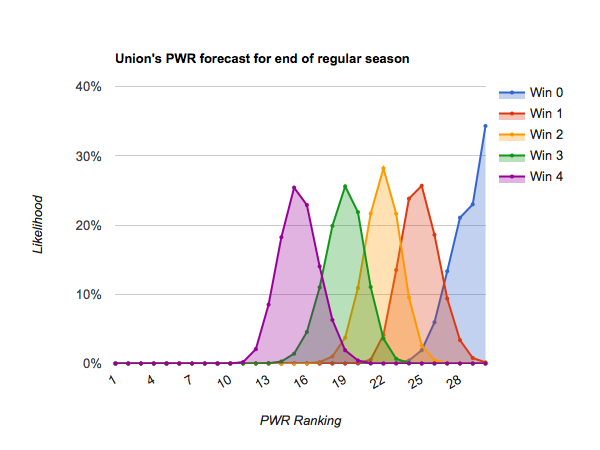 So, if the simulation set included a contest between team A with KRACH 300 and team B with KRACH 100, team A will win the game in very close to 75% of the simulations. 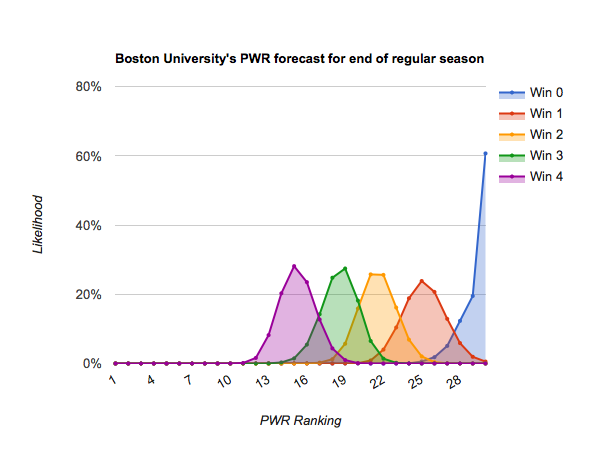 I don’t simulate ties or home ice advantage. 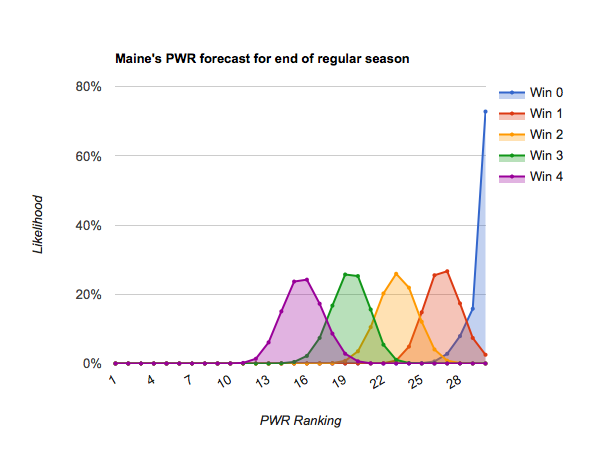 This entry was posted in forecasts on February 14, 2018 by jim. 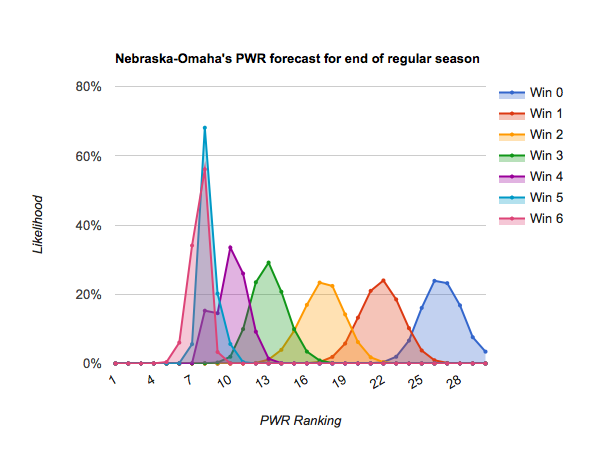 Who can make the NCAA tournament? 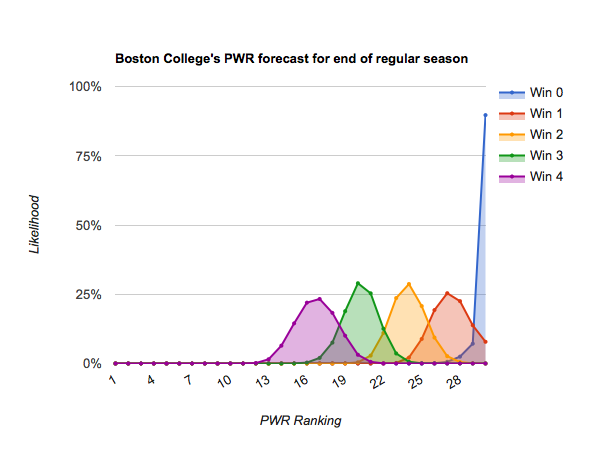 J. Comer on Which games this season had the most impact on PWR? 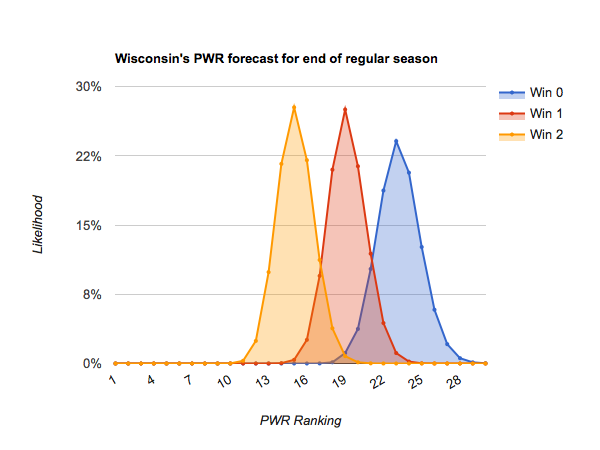 jim on Which games this season had the most impact on PWR? 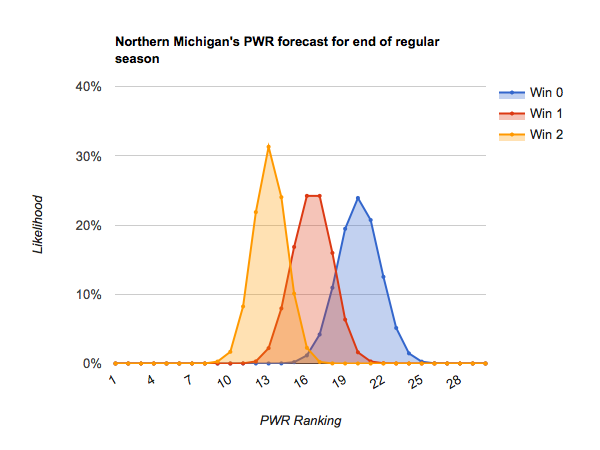 Bill greer on Which games this season had the most impact on PWR?